University of Kerala MBA Admission 2019 - Applications are hereby invited from the interested candidates by the Institute of Management in Kerala (IMK), University of Kerala for admission into Master of Business Administration (MBA) for the academic year 2019-20. 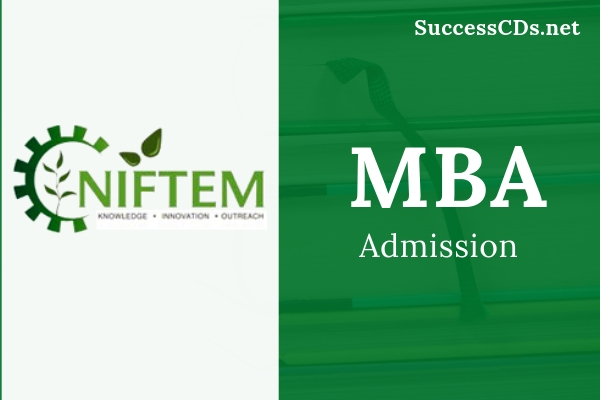 NIFTEM MBA Admission 2019 - National Institute of Food Technology Entrepreneurship and Management (NIFTEM), Sonepat, invites applications for admission to Master of Business Administration (MBA) [with Dual Specialization (i) Food and Agri-Business Management (Compulsory), (ii) One of Marketing, Finance, International Business] Program for the academic year 2019-20. Dr BR Ambedkar National Institute of Technology MBA Admission 2019 - Dr B R Ambedkar National Institute of Technology, Jalandhar Admission Applications are invited for full time Two-year Master of Business Administration (MBA) Programme offered by the Department of Humanities and Management for the session 2019-2020. University of Kashmir Masters Program Admission 2019 - Applications on the prescribed format are invited from the eligible candidates for admission to the below mentioned Programs for the academic session 2019 offered at Leh Campus, University of Kashmir at Leh. NMIMS M Pharm MBA Admission 2019 - SVKM’s Narsee Monjee Institute of Management Studies Shobhaben Pratapbhai Patel School of Pharmacy and Technology Management, Mumbai and School of Pharmacy and Technology Management, Shirpur announces M. Pharm. / M. Pharm. + MBA (Batch 2019) session. 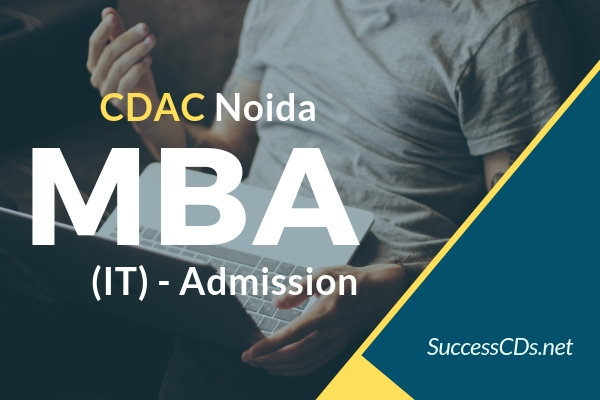 CDAC Noida MBA (IT) Admission 2019 Notification - Central for Development of Advanced Computing (CDAC) Noida, has invited application for admission two-years full time MBA (IT) [Master in Business Administration - Information Technology)] Program approved by AICTE and affiliated to Guru Gobind Singh Indraprastha University (GGSIPU), Delhi for the commencing year 2019. University Institutes of Management of University of Kerala MBA Admission 2019 - University Institutes of Management, University of Kerala invites applications from interested candidates for admission into MBA for the 2019-21 batch. University of Kerala MBA (Evening) Admission 2019 - University of Kerala invites applications for admission to MBA (Evening Regular) at Palayam Campus of University of Kerala for academic session 2019-20. Mizoram University MBA Admission 2019 – Mizoram University (MU), Mizoram invites applications for admission to 2 years Master of Business Administration (MBA) Program for the academic year 2019-21. Apollo Institute of Hospital Administration MDHM Admission 2019 - Apollo Institute of Hospital Administration (AIHA) a pioneering institute invites application for admission to Master's Degree in Hospital Management (MDHM) program for the academic session 2019-20. Indian Culinary Institute Noida MBA in Culinary Art Admission 2019 -Application are invited for Master of Business Administration in Culinary Art offered by indian Culinary Institute (ICI), Noida and Tirupati under collaborative scheme with the Indira Gandhi National Tribal University (IGNTU) for the session 2019-20. Jamia Hamdard MBA Admission 2019 - Jamia Hamdard University (JHU) New Delhi has invited applications for admission to the Master of Business Application (MBA) Program for the year 2019-20. Get info on KIIT MBA Admission 2019. Check out info on dates, eligibility, application for KIIT MBA Admission 2019. NIFM Faridabad PGDM in Financial Management Admission 2019 - National Institute of Financial Management (NIFM) Faridabad invites applications from the interested candidates for admission into the Postgraduate Diploma in Management (PGDM) in Financial Management for the year 2019. KAU MBA Agribusiness Management Admission 2019 - Applications are invited for MBA Agribusiness Management Program conducted in the College of Co-operation, Banking and Management, Vellanikkara under Kerala Agricultural University for the Academic Year 2019-20. IIHMR Delhi PGDHM Admission 2019 - International Institute of Health Management Research (IIHMR), New Delhi invites applications for admissions to Post Graduate Diploma in Hospital and Health Management (PGDHM) for the academic year 2019-20. NIT Kurukshetra MBA Admission 2019 - National Institute of Technology (NIT), Kurukshetra invites applications for admission to 2 years Master of Business Administration (MBA) Programme offered at Department of Business Administration for the session 2019-21. Goa University Integrated MBA Admission 2019 - The Coordinator (Admissions), Integrated MBA, Department of Management Studies, Goa University has invited applications for admission to Integrated MBA Degree Course in Hospitality, Travel and Tourism for the year 2019. College of Engineering Trivandrum MBA Admission 2019 - College of Engineering Trivandrum (CET) invites application from eligible candidates to apply for its full-time Master of Business Administration (MBA) program offered at CET School of Management for the commencing academic session 2019. Rajendra Agricultural University MBA Admission 2019 - Dr. Rajendra Prasad Central Agriculture University, formerly Rajendra Agricultural University invites applications from the interested candidates for admission into the MBA (Rural Management) course for the year 2019. NIT Durgapur MBA Admission 2019 - National Institute of Technology (NIT), Durgapur invites applications for admission to 2 years full-time Master of Business Administration (MBA) Program offered at Department of Management Studies (DMS) for the session 2019-20. NIT Agartala MBA Admission 2019 - National Institute of Technology (NIT), Agartala invites applications for admission to 2 years full time Master of Business Administration (MBA) Program in School of Management for the commencing from July 2019. APG Shimla University MBA Admission 2019 - Alakh Prakash Goyal (APG) Shimla, School of Management has invited application for admission to Master of Business Administration (MBA) Program for the commencing year 2019. IIM Indore IPM Admission 2019 - Indian Institute of Management (IIM), Indore, invites applications for the Five-Year Integrated Program in Management (IPM) for 2019 session. NIFM Faridabad PGDM Admission 2019 - Applications are invited from the interested candidates for admission into the PGDM course for the year 2019. Great Lakes PG Program in Management Admission 2019 - Applications are invited from the interested candidates for admission in to the course of PGPM for the year 2019. Birla Global University MBA Admission 2019 - Birla Global University, BGU Bhubaneswar invites application for the admission into two - year full – time MBA Program for the academic session 2019. MDI Gurgaon PG Programme in PPM Admission 2019 - Applications are invited from the interested candidates for admission into PG programme in Public Policy and Management for the year 2019. Dr DY Patil Vidyapeeth Pune MBA Admissions 2019 - Dr. D.Y. Patil Vidyapeeth (DPU), (Global Business School and Research Centre), Pune invites applications for admission to Master of Business Administration (MBA) Program through DPU Entrance Test for the academic session 2019-20. Goa University MBA Admission 2019 - Goa University has invited applications for admission to 2 years Master of Business Administration (MBA) Program offered at the Department of Management Studies for the session 2019. NMIMS MBA (Law) Admission 2019 - Applications are invited from eligible candidates for admission to MBA (Law) Program at School of Business Management, SVKM's Narsee Monjee Institute of Management Studies for the academic year 2019. IIM Ranchi PGPEXP Admission 2019 - Indian Institute of Management (IIM) Ranchi invites applications for admission to Seventh Batch of Post-Graduate Program in Management for Executive (PGEXP) for academic session 2019. Nirma University MBA in Family Business and Entrepreneurship Admission 2019 - Nirma University Ahmedabad Institute of Management invites applications for admission to its 15th Batch of MBA (Family Business & Entrepreneurship) (2018-20) Program. Woxsen School of Business PGDM and PGPXP Admission 2019 - Woxsen School of Business Hyderabad has announced admission in Post Graduate Diploma in Management s PGDM and Post Graduate Programme for Experienced Professionals (PGPXP) Admission for session 2019. ASBM PGDM Admission 2019 - Applications are invited by Asian School of Business Management (ASBM), Bhubaneswar for admission to 2 years full time residential t (PGDM) Program for the academic year 2019. BIT Mesra MBA Admission 2019 - Birla Institute of Technology (BIT) Mesra has released notification for admissions to the 2-year (4-semester) full time MBA (Master of Business Administration) Program 2019 offered at the Birla Institute of Technology, Mesra and at Lalpur, Noida off Campus for the session 2019-20. IIM Ranchi PG Diploma in HRM Admission 2019 - Indian Institute of Management (IIM Ranchi) invites application for admission to Post Graduate Diploma in Human Resource Management Commencing June 2019. The Institute website claims that Indian Institute of Management (IIM) Ranchi is the only IIM that offers PGDHRM. Amrita Vishwa Vidyapeetham MBA MS Admission 2019 - Amrita Vishwa Vidyapeetham invites application for admission to Collaborative Twinning Master Program MBA-MS for the academic year 2019. NIT Silchar MBA Admission 2019 - National Institute of Technology (NIT), Silchar invites applications for admission to 2 years MBA Program in Marketing, Finance and Human Resource for the session 2019-21. Dibrugarh University MBA Admission 2019 - Dibrugarh University invites applications from eligible candidates for admission to four semester MBA (Full Time) Program for the session 2019. Asia Pacific Institute of Management PGDM Admission 2019 - Asia Pacific Institute of Management (APIM) invites application from eligible candidates for admission to following 2 years full time PGDM Programmes for the academic year 2019. Alliance University MBA Admission 2019 - Alliance University, Bangalore invites applications for admission to 2 years Master of Business Administration (MBA) Program offered at Alliance School of Business (ASB) for the session 2019 (July Intake). Reva University MBA Admission 2019 - Reva University, Bangalore invites applications for admission to Master of Business Administration (MBA) Program for the academic year 2019-21. NMIMS MBA Part Time Admission 2019 – SVKM’s Narsee Monjee Institute of Management Studies NMIMS, School of Business Management (SBM) invites applications for admission into MBA (Part Time) Programme for the year 2019. Reva University Admissions 2019 - Applications are invited by Reva University, Bengaluru for admission to full time Bachelor of Technology (BTech), Bachelor of Arts and Bachelor of Law (BA LL.B), Bachelor of Business Administration, Bachelor of Law (BBA LL.B), Master of Business Administration (MBA) offered for the session 2019. SIES College of Management Studies PGDM Admission 2019 - SIES College of Management Studies PGDM Admission 2018 Notification has been announced. Applications are invited by SIES College of Management Studies (SIESCOMS), Navi Mumbai for admission to Post Graduate Diploma in Management (PGDM) Program in General, Pharmaceutical Management and Biotechnology Management for the commencing session 2019. Bharati Vidyapeeth Pune BMAT MBA Entrance Test 2019 - Bharati Vidyapeeth Deemed University conducts BVP B-MAT for admission to MBA Program. B-MAT 2019 is organized by the Bharati Vidyapeeth Common Entrance Test Cell. Interested and eligible candidates can submit BVP B-MAT 2019 application form and appear in Management Admission Test. Bharatiya Vidya Bhavan PGDM Admission 2019 - Bharatiya Vidya Bhavan’s Usha and Lakshmi Mittal Institute of Management (Bulmim) New Delhi invites applications for admission Post-Graduate Diploma in Management for the session 2019. IIM Delhi FPM Admission 2019 - International Management Institute (IMI) New Delhi invites application for admission to Fellow Program in Management for the commencing year 2019. IILM Graduate School of Management EPGDM Admission 2019 - Institute for Integrated Learning in Management-Graduate School of Management (IILM GSM), Noida invites applications for admission to Executive Post Graduate Diploma in Management (EPGDM) program commencing in the year 2019 batch. University of Burdwan Distance Education MBA Admission 2019 - Applications are invited by University of Burdwan, Directorate of Distance Education (DDE), Bardhaman for admission to 2 years Master of Business Administration (MBA) Distance Program offered in Financial Management, Marketing Management, Human Resource Management, System and Operations Management and Insurance and Risk Management for the academic session January 2019-Dec 2020. IIMA PGP-FABM Admission 2019 –Indian Institute of Management Ahmedabad invites applications for admission to Post Graduate Program in Food and Agri – Business Management (PGP-FABM) Course for the academic year 2019. NIA Pune PGDM Admission 2019 - National Insurance Academy (NIA) Pune invites applications from the eligible candidates for admission into Postgraduate Diploma in Management (PGDM) Program for the academic session 2019. IIM Kashipur MBA (WX) Admission 2019. Visit us for more info on eligibility, application and dates for IIM Kashipur MBA for Working Executives 2019. Delhi School of Business PGDM Admission 2019- Delhi School of Business (DSB) announces Post Graduate Diploma in Management (PGDM) courses for 2019 academic session (AICTE approved) . Get details on SJIM PGDM Admission 2019. Also check with us for more info on dates, eligibility and application for PGDM Admission 2019 at St. Joseph Institute of Management. Pondicherry University MBA Admission 2019 through CAT Score - The Department of Management Studies (DMS) was the first academic entity of Pondicherry University and it offers the flagship MBA Program (Full time/Part Time) for the academic year 2019-20. IIM Kashipur FPM Admission 2019 - Indian Institute of Management (IIM), Kashipur invites applications for admission to full time residential Fellow (FPM) Program in Management for the academic session 2019. IIM Indore PG Certificate Program Admission 2019 - Indian Institute of Management Indore invites application for Postgraduate Certificate Programme in Finance (PGCPF) for the academic year 2019. IIM Udaipur FPM Admission 2019 - Indian Institute of Management (IIM), Udaipur invites applications for admission to Fellow Program in Management (FPM) offered in Marketing and Operations Management for the academic session 2019. Gauhati University MBA Admission 2019 - Applications in prescribed forms are invited by Gauhati University, Gauhati from eligible candidates for admission into the two year Master of Business Administration (Business Economics) for the academic session 2019-21. IIM Visakhapatnam FPM Admission 2019 - Indian Institute of Management, Visakhapatnam invites application for admission to Fellow Program in Management (FPM) for the academic session 2019. NIT Karnataka MBA Admission 2019 - National Institute of Technology Karnataka (NITK), Surathkal is inviting applications from Indian citizens for admission into its Master of Business Administration (MBA) Program for the academic year 2019-21. Apeejay School of Management PGDM Admission 2019 - Apeejay school of Management, Dwarka offers AICTE approved two year full time Post Graduate Diploma in Management (PGDM) program for the academic session 2019-21. NIT Warangal MBA Admission 2019 - National Institute of Technology (NIT), Warangal has announced the notification for admission into MBA Program 2019 (through CAT and MAT) for the session commencing 2019-20. University of Jammu MBA (IB) Admission 2019 - University of Jammu announces admission to the two-year full-time Program MBA-International Business through International Centre for Cross Cultural Research and Human Research Management (ICccR and HRM) in The Business School, University of Jammu. JNU MBA Admission 2019 - The Atal Bihari Vajpayee School of Management and Entrepreneurship (ABVSME), Jawaharlal Nehru University (JNU) invites application for admission to 2 years Master of Business Administration (MBA) Program for the academic year 2019-20. BIMTECH FPM EFPM Admission 2019 - Birla Institute of Management Technology (BIMTECH) offers admissions to its Two Doctoral Level Programs FPM (Fellow Program in Management) & EFPM (Executive Fellow Program in Management) at its Bhubaneswar Campus for the 2019-21 batch. IIITM Gwalior MBA Admission 2019 - Atal Bihari Vajpayee Indian Institute of Information Technology & Management (ABV IIITM), Gwalior invites applications for admission to the 2 years full-time MBA (Information Technology Enabled Services) & MBA (Public Services Management and e-Governance) Programs for the academic session 2019-21. ISB Hyderabad PGP in Management Admission 2019 - Indian School of Business (ISB), Hyderabad invites applicants for admission to one year Post Graduate Program (PGP) in Management for the academic session 2018-19 and the Early Entry Option. NISM Mumbai PGDM Admission 2019 - National Institute of Securities Markets (NISM), Mumbai has released notification for eligible candidates for admission into Post Graduate Diploma In Management in Securities Markets for the academic year 2019-21. NIT Trichy MBA Admission 2019 - Department of Management Studies, National Institute of Technology, Trichy (DoMS NIT Trichy) invites application for admission to Master of Business Administration (MBA) for the academic session 2019-21. RGIPT MBA Admission 2019 - Rajiv Gandhi Institute Of Petroleum Technology (RGIPT), Amethi, invites applications for the admission in 2 year full time MBA program for the academic session 2019-20. MNNIT Allahabad MBA Admission 2019 - Motilal Nehru National Institute of Technology (MNNIT), Allahabad invites applications for admission to MBA program for session 2019-20 in the School of Management Studies of the Institute. GITAM GOT 2019 - GITAM Institute of Management (GIM) one of constituents of GITAM University invites application for the admission to its Postgraduate and Undergraduate Program through its Online Entrance Test (GOT) 2019. CABM MBA Agribusiness Management Admission 2019 - College of Agribusiness Management, Govind Ballabh Pant University of Agriculture & Technology, Pantnagar (U.S. Nagar), Uttarakhand invites applications for admission to its two-year full time Degree Programs MBA and MBA Agri-business Program Batch 2019-21. NIT Calicut MBA Admission 2019 - A notification has been released by National Institute of Technology (NIT), Calicut for admission to 2 years Master of Business Administration (MBA) Program offered in the School of Management Studies (SOMS) for the session 2019-21. Symbiosis School of Media and Communication MBA Admission 2019 – Symbiosis School of Media and Communication, Bengaluru has announced the admission for Master of Business Administration with specializations of Advertising and Public Relations for the academic year 2019. IRMA FPRM Admission 2019 - Institute of Rural Management (IRM) Anand, invites applications for 18th Fellow Program in Rural Management (FPRM) Admission for the academic year 2019. Amrita University MBA Admission 2019 - Amrita School of Business, Coimbatore has invited applications from eligible candidates for admissions to the MBA Programme for the academic session 2019-20. IISWBM MBA PS Admission 2019 - Indian Institute of Social Welfare & Business Management (IISWBM), Kolkata invites applications for admission to MBA - Public Systems (MBA-PS), two years full time degree Course of the Calcutta University and approved by AICTE for the session 2019-21. IIT Roorkee MBA Admission 2019 - Indian Institute of Technology (IIT), Roorkee invites applications for admission to 2 years Master of Business Administration (MBA) Program for the session 2019. IIT Roorkee offers MBA Admission based on CAT Score. Madras School of Economics PGDM Admission 2019 - Madras School of Economics (MSE), Post Graduate Teaching & Research in Economics & Finance announce to Two Year Full Time Post-Graduate Diploma Program in (i) Finance and (ii) Research and Business Analytics (2019-2021). ST. Xavier’s University MBA Admission 2019 - Xavier Business School (XBS), being launched by St. Xavier’s University, Kolkata (SXUK) - A Xavier Brand Management announce two-year, full time residential MBA (Master of Business Administration) Degree Program for the academic year 2019. XIDAS Jabalpur PGDM 2019 - Xavier Institute of Development Action and Studies (XIDAS), Jabalpur has invited applications for admissions to Post Graduate Diploma in Management (PGDM) in General and Rural Management Programme for the session 2019-20. IIT Madras MBA Admission 2019 - The Department of Management Studies (DoMS) at Indian Institute of Technology (IIT), Madras announced the admissions for two years full time Master of Business Administration (MBA) Program for the commencing academic session 2019. SSBF MBA in Banking and Finance Admission 2019 - Symbiosis School of Banking and Finance (SSBF) Pune has announced admissions for it’s to two-year Master of Business Administration in Banking and Finance (MBA - BF) Program for the academic year 2019-21. NDIM MBA PGDM Admission 2019 - New Delhi Institute of Management (NDIM), New Delhi invites applications for admission to 2-year full time Master of Business Administration (MBA) and 2-year full time Post Graduate Diploma in Management (PGDM) in General, Marketing and Finance Programs for the commencing session 2019-21. NALSAR University NMET 2019 - NALSAR University of Law, Hyderabad has released the notification regarding MBA admission offered at Centre for Management Studies (CMS) for the commencing year 2019-21 (batch). IIM Indore FPM in Industry Admission 2019 - Indian Institute of Management (IIM), Indore invites applications for admission to Fellow Program in Management (FPM) - Industry for the academic session 2019. NMIMS MBA and Diploma Admission 2019 - School of Business Management (SBM) - Narsee Monjee Institute of Management Studies (NMIMS), Mumbai is inviting applications for admission into its two-year MBA (Part-Time) and one-year Diploma - Social Entrepreneurship for the academic year 2019 (Batch). IIT Kanpur MBA Admission 2019 - The Department of Industrial & Management Engineering, Indian Institute of Technology (IIT), Kanpur has invites applications for the eligible candidates for admission to Master of Business Administration (MBA) Program for the commencing year July 2019. Sri Balaji Society Pune PGDM Admission 2019 - Birla Institute of Modern Management (BIMM), Sri Balaji Society, Pune, has started the admission procedure for its two-year full-time Post-Graduate Diploma in Management (PGDM) Program for the Academic year 2019-21. IIM Rohtak EFPM Admission 2019 - Indian Institute of Management (IIM) Rohtak has invites applications to its four years Executive Fellow Program in Management (Doctoral Program for working Executive) for the academic year 2019-21. IIHMR Jaipur MBA Admission 2019 - Indian Institute of Health Management Research (IIHMR), Jaipur invites application for admission to two-year MBA Program with the following specialization for the academic year 2019-21. KJ Somaiya PGDM Admission 2019 - KJ Somaiya Institute of Management Studies and Research has released application form for admission to Post Graduate Diploma in Management (PGDM) Program for the academic year 2019-21. Siva Sivani Institute PGDM Admission 2019 - Siva Sivani Institute of Management (SSIM) Secunderabad invites applications from eligible candidates for admission in various Management Courses for the academic year 2019-21. XISS PGDM Admission 2019 - Xavier Institute of Social Service (XISS) Ranchi invited applications for admission to 2 years full time Post Graduate Diploma in Management (PGDM)Program in Human Resource Management, Rural Management, Information Technology, Finance and Marketing for the academic session 2019-21. IIM Raipur FPM Admission 2019 - Indian Institute of Management (IIM) Raipur has invited applications for admission to Fellow Program in Management (FPM) for 2019 session. IIM Trichy FPM Admission 2019 - Indian Institute of Management (IIM), Tiruchirappalli has released the notification for the eligible candidates for admission to the Fellow Program in Management for the academic year 2019. IIM Raipur EFPM Admission 2019 - Indian Institute of Management (IIM) Raipur announces admission for Executive Fellow Program in Management (EFPM) commencing in 2018. JECRC University MBA Admission 2019 - JECRC University, Jaipur has invited applications from eligible applicants for admission to Master of Business Administration (MBA) Program at Faculty of Management, JECRC University for the academic year 2019. NIPM PGDPM Distance Education Admission 2018-19 - Applications are invited by National Institute of Personnel Management (NIPM), Kolkata for Post Graduate Diploma in Personnel Management (PGDPM) Distance Learning Course commencing in December 2018 Session (Winter Session). IIPM Bangalore PGDM-ABPM Admission 2019 - Indian Institute of Plantation Management (IIPM), Bangalore invites applications for admission to 2 years full time residential Post Graduate Diploma in Management (PGDM) in Agribusiness and Plantation Management (ABPM) Program for the academic year 2019-20. Anna University Distance Education 2019 - Anna University, Chennai has released notification for admission to the MBA, MCA, M.Sc. (Computer Science) Degree Programmes through Distance Mode. Anna University Conducts Distance Education Test (DEET) for admission to MBA, MCA Courses for the Calendar year 2019 Batch. MMMUT MBA Admission 2019 - Madan Mohan Malviya University of Technology (MMMUT), Gorakhpur, invite applications for admission to Master of Business Administration (MBA) Admission Programme for the year 2019. Welingkar Institute of Management PGDM Admission 2019 - Welingkar Institute of Management PGDM Admission 2018 has been announced. Welingkar Institute of Management Development and Research invites applications for admission in two-year full time PGDM Programmes at Mumbai and Bengaluru Campus for the academic year 2019-21. 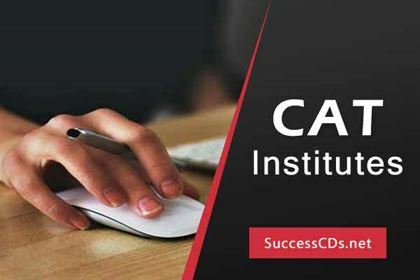 Check out on CCS NIAM PGDABM Admission 2019. Also look for more info on eligibility, application and dates for CCS NIAM Jaipur PGDABM Admission 2019. UPRTOU MBA MCA Entrance Test 2019 - UP Rajarshi Tandon Open University (UPRTOU) will conduct the UPRTOU MBA MCA Entrance Test 2019 for admission to MBA /MCA Programs for the academic session January 2019. NIBM PGDM Admission 2019 - National Institute of Bank Management, Pune announces admission to Post Graduate Diploma in Management in Banking and Financial Services for 2019-2021 Session. AIMT MBA Admission 2019 - Army Institute of Management and Technology (AIMT) Greater Noida has invited applications for admission to 2-year full-time Master of Business Administration (MBA) Program for the academic session 2019-21. IIT Kharagpur PGD Business Analytics Admission 2019 - IIM, Calcutta, IIT Kharagpur and Indian Statistical Institute (ISI), Kolkata jointly invites applications for admissions to Post Graduate Diploma in Business Analytics (PGDBA) for the academic year 2019-21 Batch. MYRA PGDM PGPX Admission 2019 - MYRA School of Business, Mysore invites applications for admission to Post Graduate Diploma in Management (PGDM) and Program in Management for Executives (PGPX) offered in various specializations for the commencing session 2019-21. BML Munjal University MBA Admissions 2019 - Applications are invited by BML Munjal University (BMU), Gurgaon for admission to 2 year full time Master of Business Administration (MBA) in General, MBA in Forensic Accounting and Corporate Fraud(in association with KPMG) MBA in Business Analytics & MBA in Finance and Investment Banking Programs offered at the School of Management for the session 2019. IIM Lucknow PGPM Admission 2019 - IIM Lucknow has announced notification for admission into the Post Graduate Programme in Management for Working Executives (15th Batch - WMP 2019-21 full time) Program For the commencing first week of April 2019. Galgotias University MBA Admission 2019 - Galgotias University (GU), Noida has invited applications from various candidates to apply for its MBA (Financial Management) Program for the academic session 2019-20. MANAGE Hyderabad PGDAEM Admission 2019 - National Institute of Agricultural Extension Management (MANAGE), Hyderabad invites applications for admission to the 12th batch of its prestigious one-year distance learning mode Post Graduate Diploma Agricultural-Extension Management (AEM) Program (Approved by AICTE) for the session 2019. BIMTECH PGDM Admission 2019 - Birla Institute of Management Technology (BIMTECH) offers admissions to its two year full time PGDM Program and other Sectoral Programs namely, PGDM (International Business), PGDM (Retail Management) & PGDM (Insurance Business Management) and Two Doctoral Level Programs FPM (Fellow Program in Management) & EFPM (Executive Fellow Program in Management), PGDM at its Bhubaneswar Campus for the 2019-21 batch . GNLU MBA Admission 2019 - Gujarat National Law University (GNLU), Gandhinagar invites applications for admission to two year full time residential Master of Business Administration (MBA) in Financial Management and Business Laws Program for the session 2019-20. TAPMI PGDM Admission 2019 - T.A. Pai Management Institute (TAPMI), Manipal invites applications for admission to 2-year full-time Post Graduate Diploma in Management (PGDM) Programme in General, Healthcare Management and Banking and Financial Services for the academic session 2019. NAARM PGDMA Admission 2019 - National Academy of Agricultural Research Management (NAARM), Hyderabad announces the admission to 11th Batch of PGDMA (Post Graduate Diploma in Management in Agriculture) 2-year fully residential Program in Agribusiness Management for the session 2019-21. 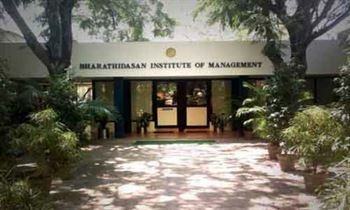 Bharathidasan Institute of Management MBA Admission 2019 - Bharathidasan Institute of Management (BIM), Tiruchirappalli invites applications for admission to two years full time Residential Master of Business Administration (MBA) Program for the academic session 2019-21. IFMR Chittoor MBA Admission 2019 - The Institute for Financial Management and Research (IFMR) invites application for admission in 2-year full-time Master of Business Administration (MBA) Program for the session 2019-21. 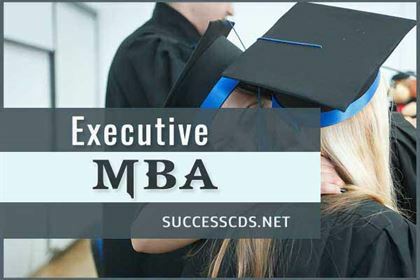 Delhi School of Economics MBA Admission 2019 - Applications are invited by Delhi School of Economics (DSE)-University of Delhi (DU), Delhi for admission to two years full time Master of Business Administration (MBA) Program in International Business (IB) and Human Resource Development (HRD) offered at Department of Commerce for the session 2019-21. Ambedkar University MBA Admission 2019 - Ambedkar University Delhi (AUD), School of Business, Public Policy & Social Entrepreneurship (SBPPSE) announces admission to 2-year (Full Time) MBA Program for the session 2019-21. University of Calcutta MBA Admission 2019 - University of Calcutta (CU), Kolkata invites applications for admission to a two year Post Graduate Degree Course Master of Business Administration in (Financial Management) in the Department of Commerce for the commencing from July 2019. TSM Madurai PGDM MBA Admission 2019 - Thiagarajar School of Management (TSM), Madurai invites applications for admission to 2 years full-time Master of Business Administration (MBA) and Post Graduate Diploma in Management (PGDM) Programs for the session commencing from 2019-21 (batch). LM Thapar School of Management, established on 23rd July 2007 is one of the best Management studies institutes. This institute is located in Patiala and is under the umbrella of Thapar University. This institute constitute of 9 academic units and 6 centers of excellence. This institute provides courses keeping in mind the dynamic era of business trends. Shiv Nadar University Noida announces MBA Admission 2019: Shiv Nadar University Noida MBA Admission 2019 Notification- Shiv Nadar University (SNU), Noida invites applications for admission to Master in Business Administration (MBA) Program I-Global at School of Management and Entrepreneurship (SME) for the academic year 2019. IIM Kozhikode - IIM stands for Indian institute of Management. This branch of institute is located on two hillocks in the Kunnamangalam area of Kerala. This institute began back in 1997 with 42 students in the first batch. Famous with the name IIMK, this institute is one of the best Management coaching institutes in the country. SIBM Hyderabad MBA Admission 2019 Notification out! SIBM Hyderabad MBA: Symbiosis Institute of Management (SIBM) Hyderabad offers Two years fully residential MBA Program in Marketing Management, Human Resources Management, Operations Management, and Finance for the academic year 2019. IPE PGDM Admission 2019: Applications are open for admission to two years full-time Post Graduate Diploma in Management (PGDM) Program in General, Retail Marketing (RM), Banking, Insurance & Financial Services (BIF), International Business (IB) and Human Resource Management (HRM) at Institute of Public Enterprise (IPE), Hyderabad for the session 2019-21. FIIB PGDM Admission Open, Check the notification! FIB MBA Admission Notification - The Fortune Institute of International Business (FIIB) Delhi offer two years full time Post-Graduate Diploma Program in Management (PGDM) Program for the admission session 2019-21. Assam University MBA Admission 2019-21: Assam University MBA Admission 2019-21 - Applications are open for admission to 2 years Master of Business Administration (MBA) in General and MBA in Hospitality & Tourism Management Program at Assam University, Silchar for the academic session 2019-21. Symbiosis MBA HHM Admission 2019 Notification! Symbiosis MBA HHM Admission 2019 - Symbiosis Institute of Health Sciences invites admission application for two-year full time MBA in Hospital and Healthcare Management Programme academic year 2019-21. IIFM Bhopal 2019 PG Diploma in Forestry Management Admission Notification out! IIFM Bhopal 2019 PG Diploma Admission - Indian Institute of Forest Management (IIFM), Bhopal has issued a notification for admission to the fully residential two years PGDFM Program for the academic session 2019-21. Candidates can check the complete information of IIFM PGDM Admission 2019. NAARM Hyderabad PG Diploma in Educational Technology: ICAR-NAARM and UoH jointly announces admission to One Year Post Graduate Diploma in Educational Technology and Management (PGD-ETM) under distance education mode for academic year 2019 . FORE School of Management PGDM Admission 2019 Notification! FORE School of Management, Delhi invites applications for full time PGDM, PGDM-IB and PGDM-FM Programs for the academic session 2019-21. Programs are approved by AICTE, Ministry of HRD, Govt. of India and Accredited by National Board of Accreditation (NBA). Indian Institute of Management (IIM) Indore invites applications for admission to Fellow Programme in Management (FPM) for the academic session 2019. Institute for Technology and Management (ITM) Business School Mumbai, invites applications from the eligible candidates for admission to PGDM Courses at ITM Business School for the academic year 2019-21. Student Counseling Centre and also with the leading CAT coaching centers in the country. IIT Delhi MBA and MBA (Telecom) Admission 2019 - Applications are invited by Indian Institute of Technology (IIT), Delhi for admission to 2 years full time Master of Business Application (MBA) Program in General and Telecommunication Systems Management Offered in the Department of Management Studies (DMS) for the session 2019 (January). SSN School of Management MBA Admission 2019 - SSN School of Management (SSN SoM), Kalavakkam has announced notification for admission to Master of Business Administration (MBA) Program for the commencing session 2019-21. KSOM MBA Admission notification released for 2019 by the KIIT school of Management. Check details. Development Management Institute (DMI) Patna has issued a notification for admission to Post Graduate Programme in Development Management (PGD) for the academic year 2019-21. Xavier Institute of Management and Entrepreneurship (XIME) Bangalore invites applications for admission to 2 years Post Graduate Diploma in Management (PGDM) Programme offered at Bangalore Kochi and Chennai Campuses for the commencing session 2019. SP Jain Mumbai PGDM Admission 2019 - SP Jain Institute of Management and Research (SPJIMR), Mumbai invites applications for admission to 2-year full time residential Post Graduate Diploma in Management (PGDM) Program for the academic session 2019-21 Batch. Hyderabad University MBA Healthcare and Hospital Management Admission 2019 - University of Hyderabad (UoH) invited applications for admission to two-year full time Master of Business Administration (MBA) Program in General and Health Care and Hospital Management for the session 2019-20. Chandragupt Institute of Management Patna PGDM Admission 2019 - Chandragupt Institute of Management Patna (CIMP) invites applications for admission to 2-year full time Post Graduate Diploma in Management (PGDM) Program for the academic session 2019-21. Loyola Institute of Business Administration PGDM Admission 2019 - Loyola Institute of Business Administration (LIBA), Chennai invites applications for admission to Post Graduate Diploma in Management (PGDM) Program for the academic session 2019-21. LBSIM PGDM Admission 2019 - Lal Bahadur Shastri Institute of Management (LBSIM) New Delhi announces admission for two-year Post Graduate Diploma in Management PGDM (General, Finance, Research & Business Analytics & Logistics & Supply Chain Mgt.) Courses recognized by AICTE for 2019 session. IRMA PGD in Rural Management Admission 2019 - Institute of Rural Management Anand (IRMA) invites applications for admission to 2-year full time Post Graduate Diploma in Rural Management (PGDRM) for the academic session 2019-21. IIM Bangalore PGPPM Admission 2019 - Indian Institute of Management (IIM) Bangalore invites application for admission to Post Graduate Program in Public Policy for the academic year 2019. Great Lakes Institute of Management PGDM Admission 2019 - Great Lakes Institute of Management (GLIM), Chennai & Gurgaon invites applications for admission to flagship Post Graduate Diploma in Management (PGDM) for the academic year 2019. Xavier University MBA Admission 2019 - Xavier Institute of Management (XIMB) Bhubaneswar invites applications for admission to Master of Business Administration (MBA) Program offered in Global Management for the academic session 2019-21. MDI Murshidabad PGPM Admission 2019 - Management Development Institute (MDI), Murshidabad invites applications for admission to 2 years full time Residential Post Graduate Program in Management (PGPM) for the academic session 2019-21. Nirma University MBA Admission 2019 - Nirma University has released notification for those candidates who fulfil the requirement to take admission in MBA (Full Time) Program for the academic year 2019-21. MDI Gurgaon FPM Admission 2019 - Management Development Institute (MDI) Gurgaon is invite applications for admission to Fellowship Program in Management (FPM) for 2019 session. BHU MBA and MBA International Business Admission 2019 - Institute of Management Studies (IMS), Banaras Hindu University (BHU) invites applications for admission to the following two-year, four-semester Post-Graduate Management Courses in Business Administration for the Academic Batch 2019-2021. IIMA Ahmedabad FPM Admission 2019 - Indian Institute of Management (IIM) Ahmedabad, has published the notification for Fellow Programme in Management (FPM) admission 2019. Xavier University MBA in Business Management Admission 2019 - Xavier University Bhubaneswar (XUB) announces admission for two-year Full Time Master’s Program in Business Management (XIMB) for 2019 session. Christ University MBA Admission 2019 - Christ University Institute of Management (CUIM), applications are invited from highly motivated students for admission to the Management Programmes for the academic year of 2019. Mudra Institute of Communications (MIC), Ahmedabad invites applications for admissions to Post Graduate Diploma in Management - Communications (PGDM-C) for the academic year 2019-21. Jammu University MBA Admission 2019 - The applicants desirous of seeking admission to the MBA Program of University of Jammu for the Session 2019-20 are required to apply for CAT 2018. NIBM Pune PGDM Banking & Financial Services Admission 2019 - National Institute of Bank Management, Pune, announces admission to Post Graduate Diploma in Management in Banking and Financial Services for 2019 - 2021 session. MUCMET 2018 - Mumbai University Common Management Entrance Test 2018 - University of Mumbai invites applications for admission to the Integrated BMS - MBA Course for the academic year 2018-19 at the University of Mumbai, Thane Sub-Campus. University of Kashmir MBA Admission 2018 - Online Applications are invited from eligible candidates for admission to the below mentioned Programs for the academic session 2018. IIM Lucknow IPMX Admission 2019 - Applications are invited by Indian Institute of Management (IIM), Lucknow for admission to one-year full time residential International Program for Management Executives (IPMX) for the academic session 2019-20. MDI Gurgaon PGDM Executive Management Program Admission 2019 – Management Development Institute (MDI) Gurgaon invites applications for admissions to Post-Graduate Diploma in Management (PGDM) Executive Management Program (EMP) for the academic year 2019. IRMA Executive PGD in Rural Management Admission 2018. Check out info for IRMA Executive PGD in Rural Management Admission, dates, eligibility, application. Brindavan College of Engineering Bangalore MBA admission 2018 - Brindavan Group of Institutions, Brindavan College of Engineering, Bangalore, has started the admissions for its two-year full-time MBA Programfor the Academic year 2018-20. Mizoram University MBA and Integrated MBA Program 2018. Check out more info on eligibility, application, dates for Mizoram University MBA and Integrated MBA Program 2018. KPPGCA KMAT Karnataka 2018 - Karnataka Management Aptitude Test (KMAT) 2018 is conducted to screen candidates seeking admission into various colleges offering MBA/ PGDM and MCA. The exam is conducted by the Karnataka Private Postgraduate Colleges Association, KPPGCA. The exam is conducted in different places across Karnataka. NMIMS NMAT 2019 – NMIMS announces admission to its Two-Year Full-Time Programs MBA, MBA-HR & MBA-Pharmaceutical Management at Mumbai Campus, PGDM at Bengaluru, Hyderabad, Indore and Navi Mumbai Campus for the academic year 2019-21 . YMCA University MBA Admission 2018 - YMCA University of Science and Technology invites applications from eligible candidates for admission to Master of Business Administration (MBA) in the Department of Management Studies for academic session 2018-19. ACPC Gujarat MBA and MCA Admission 2018 – Committee for Professional Courses (ACPC) will release notification from the eligible candidates for admission in first year of MBA, MCA&MCA Lateral Entry (Direct Second Year) in Govt., Grant-in Aid & Self-Financed Institutes in Gujarat State, on State quota of all institutions Mgt. Quota surrendered seats of self-financed Institutes . IIMA PGPX Admission 2018 - Indian Institute of Management (IIM), Ahmedabad invites applications for admissions to one- year Post Graduate Program in Management Executives (PGPX)for the academic year 2018-2020. University of North Bengal Siliguri MBA Admission 2018 - The University of North Bengal (NBU) Siliguri has invited applications for admission to 2-year Full Time Master of Business Administration (MBA) Program at the Department of Management for the academic session 2018-20. DAV Indore MBA Distance Education Admission 2018 - Devi Ahilya Vishwavidyalaya Indore announces admission to MBA Distance Education Program for 2018-21 in take. Goa University MBA (FS) Admission 2018 - Goa University offers admission to MBA (Financial Services) for the session 2018-19. Course offered by the Commerce Department MBA (Finance Services) is of Four Semesters (2 years) duration with two months Summer Training and One Semester of Corporate Internship with an intake of 60 students. IGNOU MBA Banking and Finance Admission 2019 - The Indira Gandhi National Open University (IGNOU) invites applications for admission in Master of Business Administration MBA (Banking & Finance) for January 2019 Session . NITIE Mumbai PGPEX VLFM Admission 2018- NITIE is pleased to announce the launch of the one-year full time post graduate program for executives in Visionary Leadership for Manufacturing (VLFM), PGPEX - VLFM jointly with IIT Delhi . IIFM Bhopal Fellow Program in Management (FPM) Admission 2018 - Indian Institute of Forest Management, Bhopal, a premier Sectoral Management Institute funded by Ministry of Environment, Forest and Climate Change Govt. of India, invites applications for its X Batch Fellow Program in Management (2018-2022) from July 2018. MGAHU Wardha MA MBA MEd MPhil Admission 2018- Mahatma Gandhi Antarrashtriya Hindi Vishwavidyalaya (MGAHU) Wardha invites application from eligible candidates for admission to the following Regular Courses through Hindi Medium for the academic session 2018-19 . DR YSR NITHM MBA BSc BBA Admission 2018 - Dr. YSR National Institute of Tourism & Hospitality Management in collaboration with Jawaharlal Nehru Technology University, Hyderabad offers MBA, B.Sc and BBA Program for 2018 session . Marian International Institute of Management (MIIM), Kuttikkanam, invites applications for Admission to Master of Business Administration (MBA) Program commencing in 2018. Kerala College of Engineering Admission 2018 - The College of Engineering, Trivandrum (CET) has invited applications from eligible candidates to apply for its full-time Master of Business Administration (MBA) Program Evening batch offered at CET-School of Management for the commencing academic session 2018. Dr Harisingh Gour Vishwavidyalaya, Sagar will conduct entrance tests, UGET/PGET & PHDET, in the May 2018 for admission to various UG/PG Courses and PhD Programs offered at the university for 2018-19 session. KICMA MBA Admission 2018 - The Kerala Institute of Cooperative Management (KICMA), a professional management institute set up by the State Cooperative Union, has invited application for admission to its two - year full - time MBA Program for the academic year 2018-20. Entrepreneurship Development Institute of India FPM Admission 2018- Fellow Program in Management (FPM) 2018-22 at Entrepreneurship Development Institute of India (EDII), Ahmedabad has invited application for admission to the following academic programs for the academic year 2018-22. Savitribai Phule Pune University MBA Admission 2018 - Department of Management Studies, Savitribai Phule Pune University, has invited applications for admission to the MBA (Pharma-Biotechnology) offered it for year 2018-19. MBA in Operations Management Admissions 2018. Candidates who wish to pursue MBA in Operations Management can see the list of Admission options for MBA in Operations Management . MANIT Bhopal MBA Admission 2018 - Maulana Azad National Institute of Technology Bhopal invited for admission to MBA (2-years Degree) Course for the session 2018-2020. Indian Institute of Management (IIM) Ranchi invites applications for admission to Fifteen Months of Certificate Program in General Management (CPGM) Commencing in May 2018. JBIMS Entrance Test 2018 for PG Degree Programs - Jamnalal Bajaj Institute of Management Studies (JBIMS) invites applications from eligible candidates for admission into the following 3 years part time Master Degree Programs through JBMIS Entrance Test 2018 for the academic year 2018-20. GGS Indraprastha University MBA Admissions 2018 - University School of Management Studies (USMS), Guru Gobind Singh Indraprastha University, Delhi has invited applications from eligible candidates for admission to 2-year MBA on Weekend Basic Program for the academic year 2018-19. MBA in HR Admissions 2018. Candidates who wish to pursue MBA in Human Resource Management can see the list of Admission options for MBA in Human Resources . ST. Xavier's University Kolkata MBA Admission 2018 - Xavier Business School (XBS), being launched by St.Xavier’s University, Kolkata (SXUK) - A Xavier Brand Management announce two-year, full time residential MBA (Master of Business Administration) Degree Program, starting from August 2018. NIFM Faridabad PGDM in Financial Markets 2018 - National Institute of Financial Management- NIFM, Faridabad, invites applications for admission to Post Graduate Diploma in Management in Financial Markets (PGDMFM) for the year 2018 (One Year, Full Time, Residential AICTE Approved Program). MBA in Finance Admissions 2018. Candidates who wish to pursue MBA in Finance can see the list of Admission options for MBA in Finance. Top 25 MBA College in India. 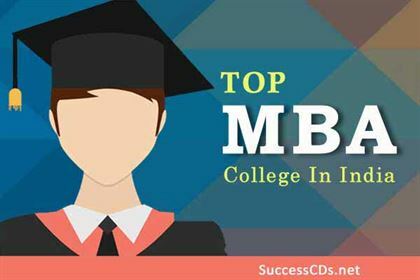 Here is compiled list of top 25 sort after MBA Colleges in India. SMVDU Katra MBA Admission 2018. Check out more details on eligibility, application, dates for SMVDU Katra MBA Admission 2018. NICMAR NCAT 2019 - National institute of Construction Management and Research invites applications for NICMAR Entrance Test for Post Graduate Courses Admission 2019. University of Calicut MBA Admission 2018 Notification- Applications have been invited by University of Calicut for admission to two-year (4 semes University of Calicut MBA Admission 2018 Notification . Manipal University MBA Admission 2019 - Manipal University (MU), Manipal invites applications, for admission to Master of Business Administration (MBA) offered in Finance, Marketing, Human Resources and Operations, MBA in Health Care Management and MBA in Global Business under School of Management for the session 2019. IMDR Pune PGDM Admission 2018 - Institute of Management Development and Research (IMDR), Pune has invited applications to admission to Post Graduate Diploma in Management (PGDM) Program of 2018-20 session. Assam Rajiv Gandhi University of Cooperative Management (ARGUCOM) invites applications for admission to MBA Full Time Course for the session 2018-19. KAU MBA Agribusiness Management Admission 2018- Applications are invited to MBA Agribusiness Management Program conducted in the College of Co-operation, Banking and Management, Vellanikkara under Kerala Agricultural University for the Academic Year 2018-19 . Indian Institute of Management (IIM), Lucknow invites applications for admission in Executive Fellow Program in Management (EFPM) (Doctoral Program with Working Executives) for the academic year 2018-19. MBA 2018 Admission and Entrance Exam Updates, Highlights. Here are the latest developments 2018) in the MBA world in India. Here are a few snippets on MBA news. Rajiv Gandhi Institute of Petroleum Technology (RGIPT), Noida invites applications for admission into 2 years MBA program in Petroleum & Energy Management offered in the Department of Management Studies (DoMS) for the academic session 2018. Jammu University invites applications for Admission to the two-year full time Master of Business Administration in Hospitality & Tourism (MBA-HT) in the School of Hospitality and Tourism Management (SHTM), Faculty of Business Studies, University of Jammu, Jammu commencing July/August 2018 .
International Management Institute (IMI), Bhubaneswar, invites applications from eligible candidates for admission into the 2-year Post Graduate Diploma in Management (PGDM) for the academic year 2018. The Department of Management Studies (DoMS) at Indian Institute of Technology (IIT), Madras announced the admissions for two year’s full time Master of Business Administration (MBA) Program for the commencing academic session 2018. DU MBA Admission 2019 - Department of Financial Studies and Department of Business Economics, University of Delhi, South Campus has released notification for eligible candidates for admission into MBA Programs for the academic year 2019-20. Toc H institute of Science and Technology (TIST) invite application for the admission to MBA Program for the academic year 2018. KIIT School of Rural Management (KSRM) under KIIT Orissa has invited applications for admission to two-year MBA (Rural Management) through KIITEE Management 2018 for the academic session 2018-20. Indian School of Business (ISB), Hyderabad, announces admission to full time Fellow Program in Management (FPM) for 2018 session in the business disciplines of Accounting, Financial Economics, Information Systems, Marketing, Operations Management, Organizational Behavior and Strategy for the academic session 2018. ISM Dhanbad MBA Admission 2019 - Indian Institute of Technology (ISM), Dhanbad invites applications for admission to 2 years full-time Master of Business Administration (MBA) Program for the academic session 2019-20. SVKM’s Narsee Monjee Institute of Management Studies NMIMS, School of Business Management (SBM), Mumbai, invites applications from interested candidates for admission to its Executive MBA Program for the session 2018-19. Applications are open for admission to Executive Master of Business Administration (MBA) Program offered in the Department of Management Studies (DMS) at Indian Institute of Technology (IIT), Delhi for the Session 2018. Sharda University Greater Noida, applications are invited for MBA (Spring Batch), MBA (Executive) and Certificates Programs for the academic session 2018. IIM Lucknow invites applications from scholars for admission to the Fellow Program in Management (Doctoral Program) the 19th batch commencing in June 2018. Birla Institute of Technology and Science (BITS), Pilani, Pilani Campus has invited applications for admission to MBA (Master of Business Administration) Program in various specializations for academic year 2018-19. Symbiosis Institute of Operations Management, Nashik invites application for the admission to MBA Program 2018 session commencing from June 2018. Entrepreneurship Development Institute of India (EDII), Ahmedabad invites applications for admission into its Post Graduate Diploma in Management - Business Entrepreneurship (PGDM-BE) Program for the academic year 2018-20 through an entrance test. Applications are invited by NIIT University (NU) for admission to 2 years Master of Business Administration (MBA) program for the academic year 2018-19. IM Rohtak invites applications for full time Doctoral Program in Management (Fellow Program in Management (FPM)) for the academic year 2018-19. S.P. Jain Institute of Management and Research (SPJIMR), Mumbai invites applications for admission to 2 year full time residential Post Graduate Diploma in Management (PGDM) Program for the academic session 2018. Indus Business Academy (IBA) is one of the premier Institutes in India offering two years - full time (Residential) PGDM Program and at present ranked among top B-Schools in country (as per the latest statistics, more than 5,000 Institutes offer Management Programs). Symbiosis Institute of International Business (SIIB), Pune invites application for the admissions to full-time Master of Business Administration (MBA) Program offered specializations such as International Business (IB), Agri. Business (AB) and Energy & Environment (E&E) for the academic year 2018. NITIE Mumbai PGDIM PGDISEM Admissions 2019 - National Institute of Industrial Engineering (NITIE), Mumbai has invited applications for admission to following Post Graduate Diploma Courses of Academic Year 2019-21 batch. Indian School of Business (ISB) Hyderabad invites applications for admissions to Management Programme for family Business (MFAB) and Post Graduate Programme for the academic year 2018. Taxila Business School has opened admissions for its two-year full-time Post-Graduate Diploma in Management (PGDM) Program for the Academic year 2018-20. Indian Institute of Management (IIM), Bangalore, invites the applications for admission to one year Advanced Management Program (AMP-Batch 12) for the session commencing from January 2018. Symbiosis Institute of Business Management (SIBM) Pune has announced the notification for admission into MBA Program for Batch 2018-20. IIM Bangalore FPM Admission 2019 - Indian Institute of Management (IIM), Bangalore invites applications for admission to Fellow Program in Management (FPM) for the academic session 2019. TISS (Tata Institute of Social Sciences), Mumbai invited applications for admission to Post Graduate Diploma in Healthcare Quality Management (Short Term Program) course of year 2018-19. Management Development Institute (MDI), Gurgaon invites applications for admissions to Post Graduate Program in Management (PGPM) Part Time for the academic year 2018-19. FMS Delhi University Executive MBA Admission 2019 - Faculty of Management Studies, University of Delhi invites applications for Master of Business Administration (MBA) Executive and Master of Business Administration (MBA) Executive in Healthcare Administration Program commencing for the session beginning January 2019-2021. Online applications are invited by "Symbiosis University of Applied Sciences, Indore" for admission through SAET (December-2017) online entrance examination for the Academic Batch 2018-20 related to the MBA‐BFSI (Two years full time residential programmes). Symbiosis Institute of Telecom Management (SITM), Pune invites applications for admission to Master of Business Administration (MBA) Program in Telecom Management for the commencing session 2018-20. Tezpur University MBA Admissions 2019 Notifications Out! Dates, Eligibility, Application & More! Tezpur University invites application from the eligible candidates for admission into 2-year full time Master of Business Administration (MBA) Program for the academic year 2019. Symbiosis Institute of Computer Studies and Research (SICSR), Pune invites applications for admission 2-years full time MBA (IT) - Master of Business Administration (Information Technology) and M.Sc. (CA) - Master of Science (Computer Application) Programs for the session 2018-20. IIM Bangalore has invited applications for admission to Management Program for Entrepreneurship and Family Businesses (MPEFB) commencing on 27th November 2017. Indian Institute Technology Kanpur invites applications from eligible candidates for admission to Post Graduate Programmes for Executives for Visionary Leadership in Manufacturing (PGPEX - VLM) Program for the academic year 2018-19. IIM Calcutta PGPEX VLM Admission 2019 - Indian Institute of Management Calcutta (IIMC) Kolkata invites applications from eligible candidates for admission to Post Graduate Program for Executives in Visionary Leadership in Manufacturing (PGPEX - VLM) Program for the academic year 2019-20. Faculty of Management Studies (FMS), University of Delhi invites applications for two year full time Master of Business Administration (MBA) and Doctoral of Philosophy (PhD) Programs commencing for the session January 2019-2021. IFIM Business School, Bangalore invites applications for admission to 2 years full time Post Graduate Diploma in Management (PGDM) Programme in General, International Business and Finance for the session 2018. Indian Institute of Finance (IIF), Greater Noida invites applications for admission to 2 years full-time Management of Business Finance (MBF) Programme for the commencing session beginning July 2018. ISBR Business School invites application for MBA and PGDM Courses in Bangalore and Chennai Campus for the commencing year 2018. The Indian Institute of Management Calcutta (IIM-C), Kolkata invites application for one-year residential Post-Graduate Certificate in Healthcare Management (PGCHM), for the academic session 2018. Indian Institute of Social Welfare and Business Management (IISWBM), Kolkata invites applications for admission to two years full time Master of Business Administration (MBA) and Master of Human Resource Management (MHRM) Programmes for the session 2018-20. MDI Gurgaon PG Program in Energy Management Admission 2019 - Management Development Institute (MDI), Gurgaon invites applications for admissions to National Management Program (NMP) and Post Graduate Program in Energy Management (PGP-EM) for the academic session 2019-20. PDPU MBA Admission 2019 - Pandit Deendayal Petroleum University (PDPU) Gandhinagar invites applications for admission to the MBA Program two-year full time residential under School of Petroleum Management (SMP) for the academic year 2019-21 batch. International Management Institute (IMI), New Delhi invites applications from eligible candidates for admission into the following 2-year Post Graduate Diploma in Management (PGDM) for the academic year 2018. Goa Institute of Management PG Diploma in Management Admission 2019 - Goa Institute of Management GIM has released applications for admission to two years full-time PGDM and PGDM (HCM) Programmes for the academic year 2019-21. Mudra Institute of Communication (MICA) has released notification for admission into Fellow Programme through a Written Examination for the academic year 2018-2021. MDI Gurgaon PG Program Admission 2019 - Management Development Institute (MDI), Gurgaon invites applications for admission to Post Graduate Program (PGP) in Management, International Management (IM) and Human Resource Management (HRM) Programs for the academic session 2019-21. IMT Ghaziabad MBA and PGDM Admission 2019 - Institute of Management Studies, Ghaziabad has released notification for admission into MBA and PGDM (Post Graduate Diploma in Management) (2 years /full time globally accredited residential programs) for the academic year 2019-21. National Institute of Bank Management, Pune, announces admission to Post Graduate Diploma in Management in Banking and Financial Services for 2018- 2020 session. XIMB Executive MBA Business Management Admission 2018 - Xavier Institute of Management (XIMB), Bhubaneswar invites applications for admission to Executive MBA (Business Management) Program for the academic session 2019. MANAGE PGDM Agri Business Management Admission 2019 - National Institute of Agricultural Extension Management (MANAGE), Hyderabad has invited applications for admission to Post Graduate Diploma in Management (PGDM) in Agri-Business Management (ABM) Program(24th Batch) for the academic session 2019-20. VAMNICOM Pune Admission Notice for PGDM-ABM for the Session 2019-21: Vaikunth Mehta National Institute of Cooperative Management (VAMNICOM), Pune, invites applications for admission to Post Graduate Diploma in Management (PGDM) (Agri Business Management) Program for the year 2019-21 (27th Batch). IIM Bangalore EPGP in Management Admission 2018 - Indian Institute of Management (IIM) Bangalore invites application for admission to the one year full-time Executive Post Graduate Program in Management (EPGP) for the academic year 2019-2020. National Institute of Technology (NIT), Rourkela invites applications for admission to 2 years Master of Business Administration (MBA) Program for the session 2018-20. Rajagiri Centre of Business Studies offer MBA/PGDM/MHRM Program for admission into Rajagiri Centre of Business Studies for the academic year 2018-20 . 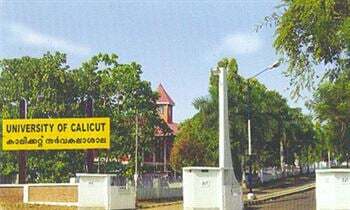 CUSAT CAT 2018 : Cochin University of Science and Technology (CUSAT) conducts entrance exam for admission to various academic programs of the University for the academic year 2018-19. Odisha Joint Entrance Examination (OJEE 2018) is the State Level Entrance Test of Odisha State, which is controlled by the State Govt. 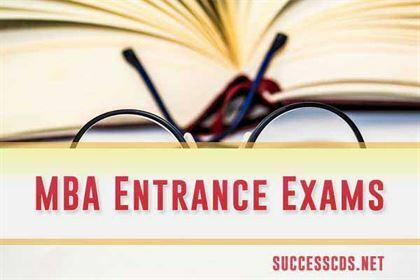 This entrance test is conducted for admission to various courses in Private & Governmental Medical, Engineering & Management Institutions of Odisha. TANCET 2018 Notification - Applications for Tamil Nadu Common Entrance Test (TANCET) 2018 conducted by Anna University, Chennai on behalf of Government of Tamil Nadu from candidates who seek admission to (i) MBA (ii) MCA, and (iii) M.E. / M.Tech / M.Arch / M.Plan Degree Programs for the year 2018-19. The Government of Maharashtra State CET cell shall conduct the MAH MBA/MMS CET 2018 for admission to first year of full time Post-Graduate Degree in MBA /MMS Courses in various institute of Maharashtra, for academic year 2018-19. Army Institute of Management and Technology (AIMT) Greater Noida has been invited applications for admission to 2 year full-time Master of Business Administration (MBA) Program for 2018-20 sessions . Jaipuria Institute of Management invites applications for admission to Post Graduate Diploma in Management (PGDM) Program offered at Lucknow, Noida, Jaipur, Indore (AICTE approved two-year full time PGDM Program) for the session 2018-20 . IIM Calcutta Doctoral Fellowship in Management 2019 - Indian Institute of Management (IIM) Calcutta invites applications for admission to full time Doctoral Fellow in Management commencing in the June Session 2019. Kirloskar KIAMS PGDM Admission 2019 Notification Out! Kirloskar Harihar KIAMS PGDM Admission - Kirloskar Institute of Advanced Management Studies (KIAMS), Harihar invites applications for admission to 2 years Post Graduate Diploma in Management (PGDM) Program for the commencing session 2019-21 . IMI Delhi Executive PGDM Admission 2019 - International Management Institute (IMI) New Delhi invites applications for admission to 15 months Executive Post Graduate Diploma in Management (PGDM) Program for the academic session 2019-20. IABM that is Institute of Agri Business Management is one of the best institutes of India that is dedicated into business activity that is dedicated in the areas like specialised production, post-harvest management, promotion, supply chain management, marketing etc. Recently, the notification for MBA Admission 2019 has been passed by IABM. JNTU Hyderabad MBA Admission 2018 - Applications are invited from the eligible candidates for admission into the MBA Program in collaboration with Central Michigan University (CMU) offered by JNTUH, Kukatpally, Hyderabad for the academic year 2018-19 . XLRI, Xavier School of Management conducts GMAT for admission into various Post Graduate Diploma Management Programme for the academic year 2018-19. Osmania University MBA (Technology Management) Admission 2018 - Osmania University (O.U.) Hyderabad invites applications for from the candidate seeking admission into M.B.A. Technology Management (Evening) Part-time two years modular Program for the academic session 2018-19. SCMHRD MBA Admission 2019 - Symbiosis Centre for Management and Human Resource Development (SCMHRD), Pune invites application for eligible candidates for admission to MBA Program in various specializations (Marketing, Finance, Human Resource and Operation Management) for the academic year 2019. Calcutta University MBA HRD Admission 2019 - University of Calcutta (CU), Kolkata invites applications for admission to 2 years full time Postgraduate - Master of Business Administration ((Human Resource Development) [MBA-HRD] Program offered in the Department of Business Management for the session 2019-21. Indian Institute of Management (IIM), Rohtak invites applications for admission One Year Post Graduate Program in Management for Executives (EPGPx) for the academic session 2018. The School of Distance Education, Calicut University has invited applications for entrance examinations for MBA Program 2018 under distance mode for the academic year 2018. North Maharashtra Universityonducts the Common Entrance Test PGCET from the eligible candidates who seek admission into Post Graduates Courses like M.M.S. (Personal Management) and M.M.S. (Computer Management) for the academic year 2018-19. Andhra University Distance MBA MCA Admission 2018 - Applications are invited for admission into MBA (Marketing/Finance/HRM) both 3-year and 2-year stream and 3-year MBA (Hospital Administration) and MCA Courses through School of Distance Education, Andhra University for the academic year 2018-19. Birsa Agriculture University has released notification for admission to the MBA (Agri-Business) Program for the session 2018-19. IIM Distance Learning Programmes. Check out for more information on Distance Education Programmes offered by IIM, IIM management programmes via distance learning mode, fee structure, eligibility, work experience and course duration. SP Jain Institute of Management and Research (SPJIMR) Mumbai invites applications for admission to Post Graduate Programme in Management (PGPM) is an AICTE approved, full time, One year, Post Graduate Programme for the year 2018-20. IIM Indore Executive PG Program in Management Admission 2019 - Applications are invited by Indian Institute of Management (IIM), Indore for admission to one-year residential Executive PGP in Management (EPGP) Program for the session 2019-20. NIFTEM MBA Admission 2018 - National Institute of Food Technology Entrepreneurship and Management (NIFTEM), Sonepat, invites applications for admission to Master of Business Administration (MBA) [with Dual Specialization(i) Food and Agri-Business Management (Compulsory), (ii) One of Marketing, Finance, International Business] Program for the year 2018-19. University of North Bengal Tea Management Admission 2018 - University of North Bengal invites applications for admission to one-year Postgraduate Diploma Course in Tea Management for the session 2018-19. RA Podar Institute of Management MBA Executive Admission 2018 - RA Podar Institute of Management invites applications for admission to two year MBA (Executive) Program (Session 2018-19). It is a four semester part-time Program leading to award of MBA - Executive Degree. KKHSOU MBA Admission 2018 - The Krishna Kanta Handique State Open University (KKHSOU), Guwahati has invited application for the two year to MBA Program for session 2018-20, through Entrance Test will be held on 13th October 2018 (Saturday). The Karnataka Veterinary, Animal and Fisheries Sciences University (KVAFSU) invites application form for admission to MBA (Food Business) Programme at Dairy Science College, Hebbal, Bengaluru Campus of the University for the Academic year 2016-17. Indian Institute of Technology (Indian School of Mines (ISM), Dhanbad has invited application for admission to the 3-year, 6-Semesters, MBA Program under the Department of Management Studies, for working Executives/Entrepreneurs/Self-Employed Persons for the session 2018-21. Punjabi University Patiala MBA Entrance Exam 2018 - Punjabi University, Patiala has invited applications for admission to the First year 2 year Regular Master of Business Administration (MBA) Program for the commencing session 2018-19. Sambalpur University Institute of Information Technology Admissions 2018- Sambalpur University Institute of Information Technology (SUIIT) offers the various IT related Programs such as B.Tech, MCA, M.Tech, M.phil and M.Sc. in the Self-Sustaining mode for the academic year 2018-19. TNSF Consortium CET 2018 - The Consortium of Self Financing Professional Arts and Science Colleges in Tamil Nadu invites applications for admission in postgraduate courses including MBA, MCA, M.E, M. Tech & M. Arch in various private professional, arts and science colleges under the management quota in the State of Tamil Nadu on the basis of Common Entrance Test for the academic year 2018-19. Kerala University of Fisheries KUFOS PG Admissions 2018 - Kerala University of Fisheries and Ocean Sciences invites applications from eligible candidates for admission to various PG/PhD/PDF/Diploma programs offered in the constituent Schools of KUFOS in the academic year 2018-19. Various courses: M.F.Sc., M.Sc., MBA, M.Tech, LLM, PG Diploma, Diploma, Ph.D, PDF. DTU Executive MBA Admission 2018 - Delhi Technological University (DTU), Delhi invites applications for admission to Executive Master of Business Administration (EMBA) Program offered at Delhi School of Management (DSM) for the session 2018-20. The Banaras Hindu University shall conduct Postgraduate Entrance Tests, hereinafter called "PET", during 13th to 27th May, 2018, for admission to various Postgraduate Courses Session 2018-19. Applications are invited by Kristu Jayanti College, Bengaluru for admission to Master of Business Administration (MBA) and Post Graduate Diploma in Management (PGDM) Program for the session 2018. College of Agribusiness Management, Govind Ballabh Pant University of Agriculture & Technology, Pantnagar (U.S. Nagar), Uttarakhand invites applications for admission to its two-year full time Degree Programs MBA and MBA Agri-business Program Batch 2018-20. Applications are invited for Maharashtra Agricultural Universities Exam Board MCAER PGCET 2018 Maharashtra Agricultural Universities Examination Board (MAUEB) conducts the Common Entrance Test (CET) for admission to various Post Graduate Programs in the State Agricultural Universities (SAUs) in Maharashtra. Applications are invited by Vinod Gupta School of Management (VGSOM), Indian Institute of Technology, Kharagpur for admission to 2 years full time Master of Business Administration (MBA) Program for the session 2018. MMMUT Admission 2019 - Madan Mohan Malviya University of Technology (MMMUT) invites application for admission to Ist Yr. B.Tech, IInd Yr. B.Tech, MBA, MCA, M.Tech & PhD Courses thorough MMMUT Entrance Test 2019 – MET 2019. National Institute of Technology (NIT), Kurukshetra invites applications for admission to 2 years Master of Business Administration (MBA) Programme offered at Department of Business Administration for the session 2018-20. IGNOU OPENMAT 2019 Dates, Eligibility, Application Notifications Out! IGNOU OPENMAT 2019 - IGNOU has released the official notification for MBA Entrance Test - OPENMAT XLIV for admission to the various Management Programs starting from January 2019. For now, the application form for IGNOU OPENMAT 2019 XLIV has been available in online mode only. Alliance University Executive PGDM Admission 2019 - Alliance University, Bangalore invites applications from eligible candidates for admission to 16 months Executive Post Graduate Diploma in Management (PGDM) Program offered at Alliance School of Business for the January 2019 session. Applications have been invited by International School of Business & Media (ISB&M) for admission to PGDM Program in following specializations of Batch 2018-20 . Symbiosis Centre for Information Technology (SCIT) Pune invites application for admission to MBA in Information Technology Business Management (ITBM) and Master of Business Administration - Data Sciences and Data Analytics - MBA (DS&DA) for the academic year 2018-20 . TS ICET 2018 - Kakatiya University, Warangal invites application for appearing at the Telangana State Integrated Common Entrance Test (TSICET-2018) for admission into MBA and MCA Courses (full time/part-time/evening/distance mode) offered by the following Universities in the State of Telangana including their affiliated colleges for the academic year 2018-19. CDLU Distance Education Admission 2018 - Applications for admission to the following courses approved by UGC /DEB under Open and Distance Learning mode are invited for the academic session 2018-19 up to 20th October 2018. Kakatiya University Distance Education Admission 2018 - Kakatiya University, Warangal invites applications for admission to the following courses for the academic year 2018-19 in the School of distance learning and continuing education. KUK Distance Education admission 2018-2019 - Directorate of Distance Education (DDE) of Kurukshetra University has released notification for admission to the various UG, PG and Certificate Courses for the academic year 2018-19. North Orissa University (NOU) invites applications in the prescribed form for admission into the following courses as recognized by UGC in distance learning mode for the academic session 2018-19. Berhampur University, Harihar Mardaraj Distance Education Centre, Odisha announces correspondence admission to PG / Professional Courses for 2018-19. Kannur University Distance Education Admission 2018 - Applications are invited for admission to the following Courses/Programs offered by the School of Distance Education of Kannur University for the academic year 2018-19. GJU Distance Education Admissions 2018 - Applications are invited by Directorate of Distance Education of Guru Jambheshwar University of Science and Technology, Hisar for admission to the following Distance Learning Programs for the session 2018-19. Kuvempu University PG and PG Diploma Admission 2018 - Kuvempu University invites applications from eligible candidates for admission to the Post Graduate and Post Graduate Diploma program in different Post Graduate Department of the University for the academic year 2018-19. Pondicherry University (PU), Puducherry has released notification for admission into the PG and MBA Programmes for the academic year 2018-19. Mangalore University PG Admission 2018 - Mangalore University invites application form for Admission in to Post Graduate, PG Diploma, Diploma and Certificate courses commencing in the session 2018-19. Alagappa University Distance Education 2018 - Alagappa University invites applications for admission to the following Programs offered through Distance Mode for the Academic Year 2018-19. SMU MBA Admission 2018 - Applications are invited for admission into the MBA programs offered by the Sikkim Manipal University for the academic year 2018-19. An MBA degree from US is much sought after by Indian students, since US has top business schools like Harvard, Wharton and Stanford and others that are much reputed worldwide. The admission process is the simplest, flexible and affordable here. High and mighty MBA losing its charm ? MBA after Graduation or Work Experience – Which is better?